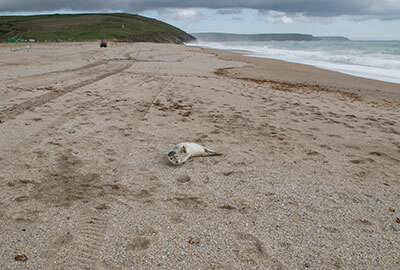 A 4 months old female seal pup, was rescued on 27th April 2018 from Loe Bar near Helston by Grace and Ashley, members of the Animal Care team. Construction Company BAM Nuttall´s staff kept a vigilance until Grace and Ashley arrived. 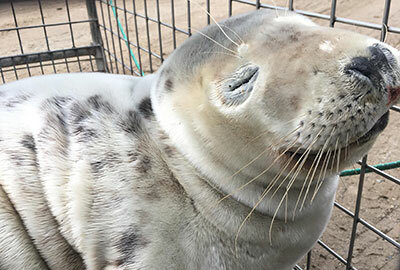 The team gave the pup, who has been named Bella, a quick assessment and found she had a few superficial wounds, a high temperature and was missing a few claws on her front flippers. She also only weighed 16kg so the decision was made to bring her back to the Sanctuary. 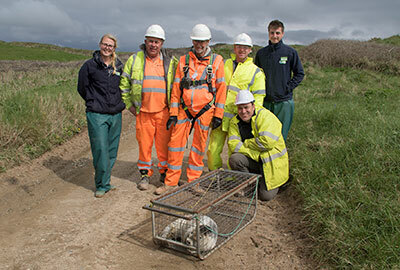 With the help of the BAM Nuttall workers, the Animal Care team were able to successfully rescue Bella and are hopeful for her future; she is a long way off release but is making slow progress every day. 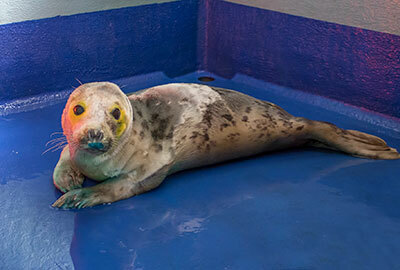 This photo of Bella was taken the next day after she had a good night´s sleep in the seal hospital. 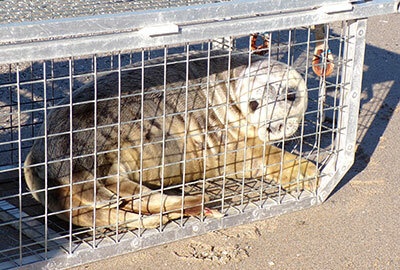 Click here to read the press release for the full story of this pup´s rescue. Click here or on a photo below to see a larger version. 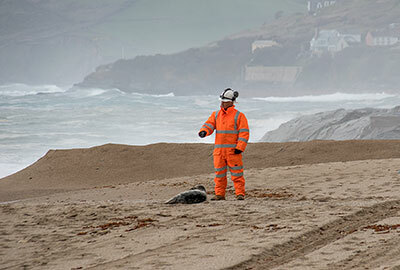 You can see more photos of the rescue on our Flickr account. Update - 3rd June 2018 : Bella has completed her final stage of rehabilitation and she will be returned to the wild in the next few weeks. Her flipper tag number is 373 (green). Click here to see a larger of photo of Bella. Update - 1st July 2018 : Bella was returned to the wild on 28th June 2018 at Porthtowan beach along with another rescued pup named Harry.